You probably won’t ever experience a day like this again, and you certainly won’t experience getting photographed this much in one day ever again. There will be wedding photographers, cameras, smartphones and maybe even disposables, which means you really need to look your best – your very best – for fear of ruining the day and all of history. You are going to make up 50% of the subject matter, the gorgeous subject matter, so you don’t want to risk letting your wife down and you don’t want your kids to grow up thinking your least stylish dad on the planet. That day will inevitably come, but don’t let your wedding photos be proof. Luckily for you we care, which is why we have come up with a list of must=follow style tips that will make the men envious, the women jealous and your lady swoon so much she will fall in love with you even more. And that will really show in your wedding pictures, and on your wedding night. Cheeky-cheeky. Please please please, solemnly swear right now that you will not rent your wedding day suit. Please, for the sake of holy matrimony, please don’t rent. We will tell you why. It is because rented suits are not meant to fit your body; they are meant to fit everybody. That means they won’t be perfect and your gorgeous fiancee deserve perfect. Yes, of course the lads down at Moss Bros or wherever will pull out a measuring tape and do all that professional looking stuff but – and it is a big old but – they won’t be making a suit to fit those measurements, they will simply get you a suit that is right for your size. Big difference, buddy. Your shoulders won’t fit, the arms will be too long, the waist will be all wrong, it won’t button-up at the top button (which is the only button that matters) and you’ll end up having to amend the trouser length yourself (by which I mean your wife will, while wearing daggers in her eyes and pricking your leg with the needle at every available opportunity). In short, no guy has ever looked great in a rented suit, so please don’t rent. Besides this is your greatest chance to go nuts and get yourself something impeccable, something stylish, elegant, sophisticated and cool, and you owe that to yourself (or maybe your father-in-law owes it to you). You were brave enough to get down on one knee and that means you are brave enough to get that perfect suit, that Hollywood tux that will last you a lifetime and longer. It will become a family heirloom, marvelled at for generations, hung in a glass cabinet next to a photograph of you on your wedding day; the most handsome dude to have ever lived. Know the style and stick to it. We’re not talking about your style. We’re talking about the style of the wedding, the one your fiancee has chosen, the on she decided on when she was 8 years old. Sure, you maybe a punk rocker at heart, but it’s time you left that all behind, just for a day. That doesn’t mean be all boring. Just think about what you are going to wear with great thought. Pair it with the decor, with the formality with your personality and with your future wife. Are you going for a gorgeous outdoor wedding held in a breathtaking forest glade, white chairs lining the moss covered grounds. Yes? Well, why not go with a striking grey three piece suit and a bow-tie, one that has a splash of colour in it, and a matching hanky. Oh yes. Going for a beachfront wedding with sand and all, then solid blue, a nice dark shade with matching ties, because black would be too much, grey too light and white too cheesy, blue will mirror that vista behind you. Sublime. We are aware of the fact we warned you from going full punk if you are a punk rocker at heart, but there is nothing wrong with a little touch of you; after all, that’s who your partner fell in love with. So why not wear a pair of brand new Vans or Converse, bright socks, personalised cufflinks, braces or whatever. It will generate a smile, and it could be the very thing that you get confidence from as you make you way down the aisle. Don’t worry, a little bit of manly grooming isn’t going to make you a woman. It’s a new world out there, one where men are now expected to make the same amount of effort as a woman. How can you expect your lovely lady to shave her legs and armpits all the time if you aren’t even prepared to shave your face. Exactly. Now stop being all macho and get grooming. The first thing you need to do is upgrade your products. Don’t just settle for that free stuff at the gym, which has an unfamiliar smell that lingers somewhere between lemons and wet soil. Go and splurge a bit of sensational products. Buy L’Occitane shower gel, Dermalogica face wash, La Prairie anti-aging emulsion, Oud Wood spray from Tom Ford and Bleu de Chanel spray. Go on. But don’t stop at grooming products, because you are going to need more. Your next stop is a close shave. Yup, no more disposable razor that misses patches and leaves you with a rash. It’s time you got yourself an electric shaver. 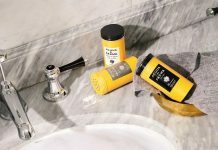 You may complain about this and say loads of generic stuff like “they don’t work effectively” and “they irritate my skin”, but if you visit Sleep Clean Care, you can see a whole range of shavers and how best to use them so that you avoid this very issue. Fantastic, and no more excuses. It may also be worth getting yourself a beard comb if you are that way inclined and insist on having a hairy face, or designer stubble. The reason for this is simple; they can be used as a stencil. This means you can get the perfect beard lines. Trust us, they make all men look better. Fact. Also known as Groomsmen (albeit only for one day). It gives them a little bit more class. What’s more, your future partner will be making sure her bridesmaids look a million dollars: colours, fabrics, shoes, cut, style and more, much more. Once again, these wingmen and women are going to grace the history pages of your wedding and, all too often, the blokes get forgotten about, which means the girls look fabulous and the blokes look blah. Not anymore. It’s time to start focussing on this side of the party, giving them something inspirational to wear. There may well be a lot of them and that means they are going to have a fairly big impact on how your wedding looks and feels, so get it right. Help them look good. Help them be the style icons they deserve to be. Waistcoats are an absolute must-have. No matter what theme you are going to be rocking, or what style your future wife has chosen, there is always room for matching waistcoats. It doesn’t matter if they match the jacket or contrast with it totally, waistcoats have the swagger that nothing else can offer. They look dapper and sophisticated and glamorous and, what’s more, if you’re planning an autumn or winter wedding, they’ll also be quite practical, by which we mean warm. And if you’ve decided on a spring or summer wedding, well, shirt and waistcoat is a way cooler look than just shirt (it will also hide the wrinkles. There is always one groomsman who doesn’t iron his shirts, and a waistcoat will limit the damage caused by his innocent insolence). The other great idea for making your men look proper handsome is to dress them in some old world fabrics. 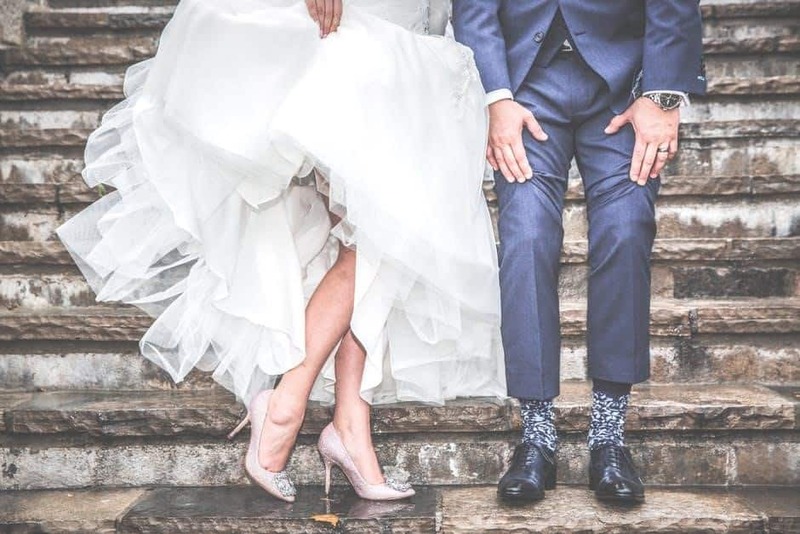 It’s a great way to bring about some personality to your wedding because, you know, tweed and houndstooth and plaid are seriously fun and, yet somewhat, sophisticated fabrics. It’s the ultimate way for you to make your motley crew look like old school country gentlemen. They will look rustic, but in an entirely awesome way, and that could be exactly what your wedding needs. As a final thought, why not introduce the idea of matching accessories. 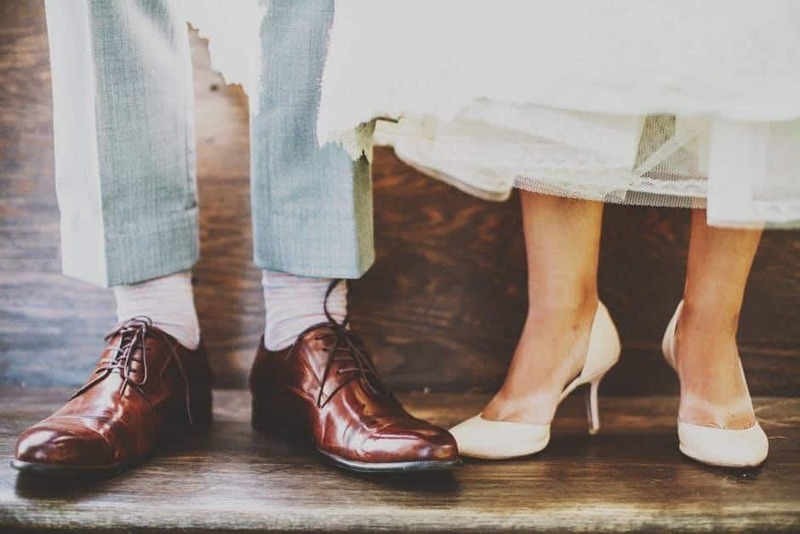 What better way is there to symbolise what these guys mean to you than to have something they can keep and treasure for the rest of their lives (unless they pawn them off), something that reminds them of your wedding day and your bond. It can be something smart like matching pocket watches, or wristwatches for that matter, or tie pins or anything. Why not have them engraved too. Ah, how amazing and elegant and handsome you will all look, standing together, posing for photos; memories cherished in the best way possible.